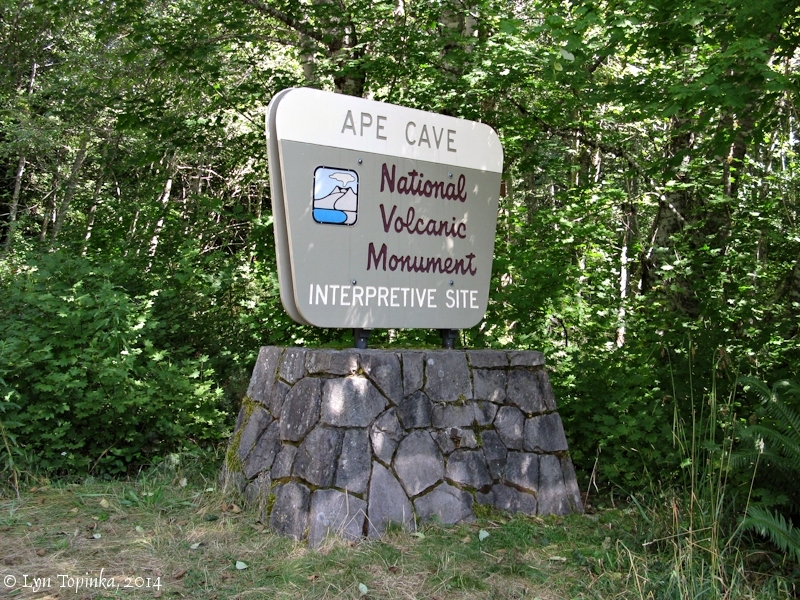 "The formation of Ape Cave marks an unusual period in Mount St. Helens' eruptive history in that it is the only known basaltic eruption of the volcano. Eruptions of fluid basaltic lava, much like those in Hawaii, are rare occurrences in the Cascade Mountain Range. The Cascades usually erupt lava of a thicker consistency. When this type of magma is coupled with suspended gases, explosive eruptions tend to occur. The eruption of Mount St. Helens on May 18, 1980, exemplifies this tendency. 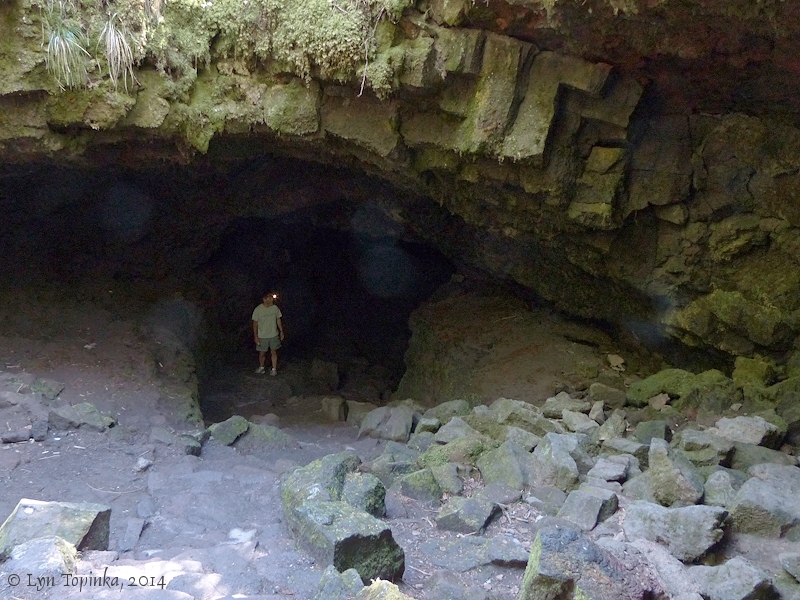 About 2,000 years ago, fluid basaltic lava poured down the southern flank of the volcano. As the lava flowed, chunks of the lava’s surface cooled, crashed and fused together creating a hardened crust. 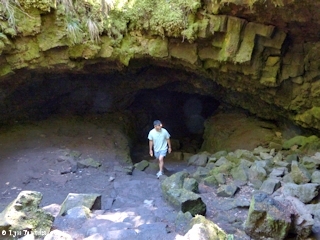 In turn, the crust insulated the molten lava beneath, allowing it to remain fluid and travel down to the Lewis River Valley. The hot flowing lava began melting into the pre-existing rock and soil. This thermal erosion deepened and widened the channel of the flow. 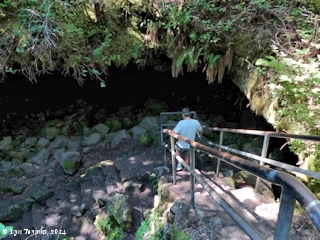 The level of lava in the tube rose and fell as the eruption surged and slowed, contributing to the unique contours of the walls. During this eruptive period, hot fluid lava pulsed through the tube for months, possibly up to a year, until the eruption subsided. As a result of this rare eruption, a spectacular 13,042 foot (3976m) long lava tube, the third longest in North America, was created. " 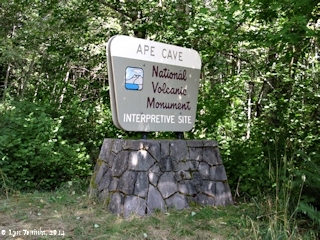 Source: U.S. Forest Service website, 2014, "Mount St. Helens National Volcanic Monument, Ape Cave Interpretive Site". 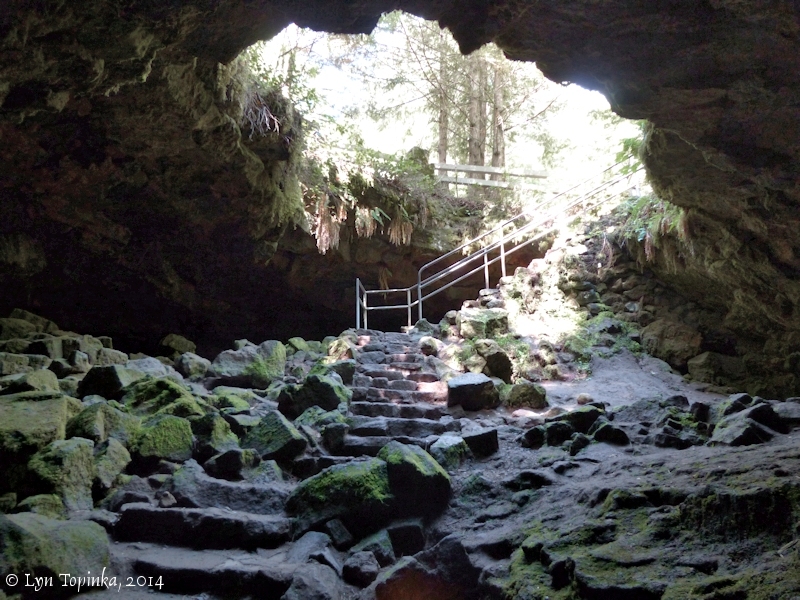 "Ape Cave was discovered in 1947 by a logger named Lawrence Johnson. 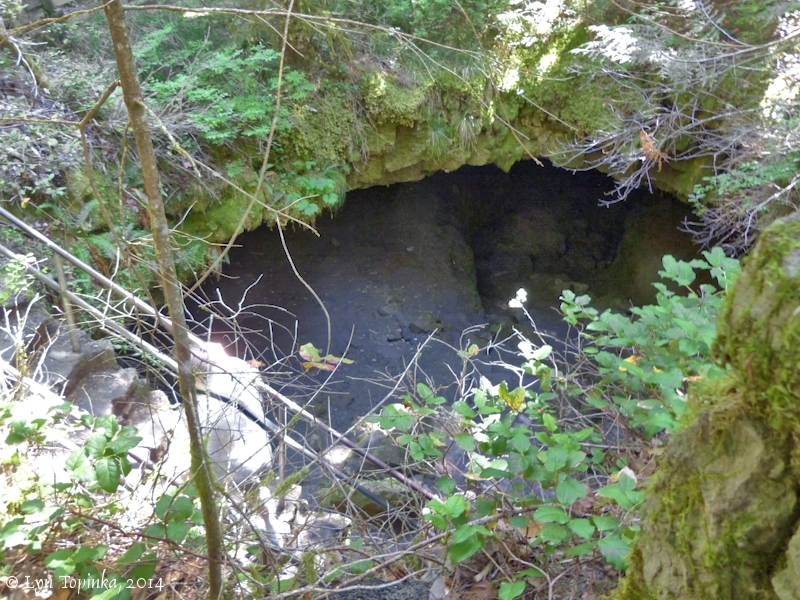 However, the cave was not explored until the early 1950's when a scout troop, led by Harry Reese, lowered a team of scouts down a 17-foot overhang to the cave floor. 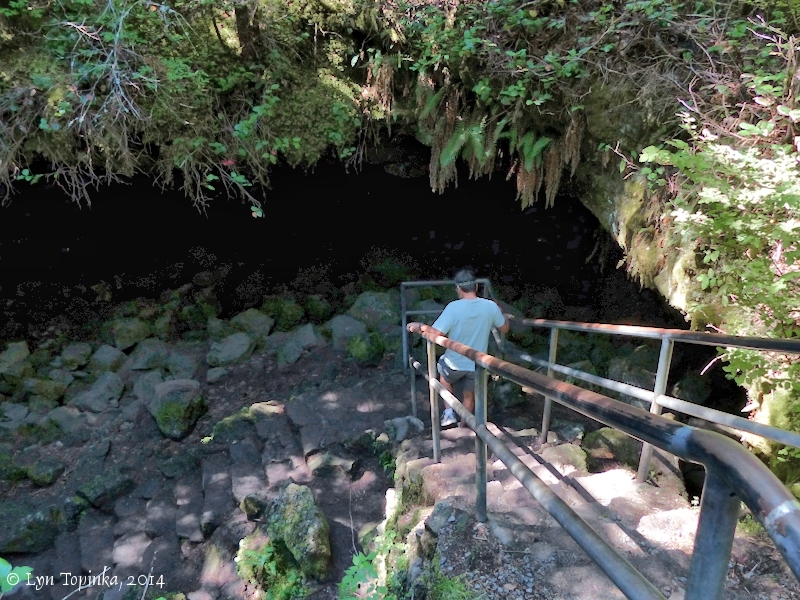 Leaving footprints where no one ever had, these explorers were able to travel through a pristine lava tube full of fragile formations. Ape Cave was named by the Scout Troop in honor of their sponsor, the St. Helens Apes. This local group was made up primarily of foresters. The sponsor’s name, St. Helens Apes, may have come from an old term used for foresters in the area, "brush apes," or from the legend of Bigfoot." 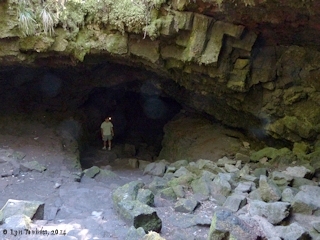 Click image to enlarge Opening, Ape Cave, Washington. Image taken September 4, 2014. Click image to enlarge Looking back out, Ape Cave, Washington. 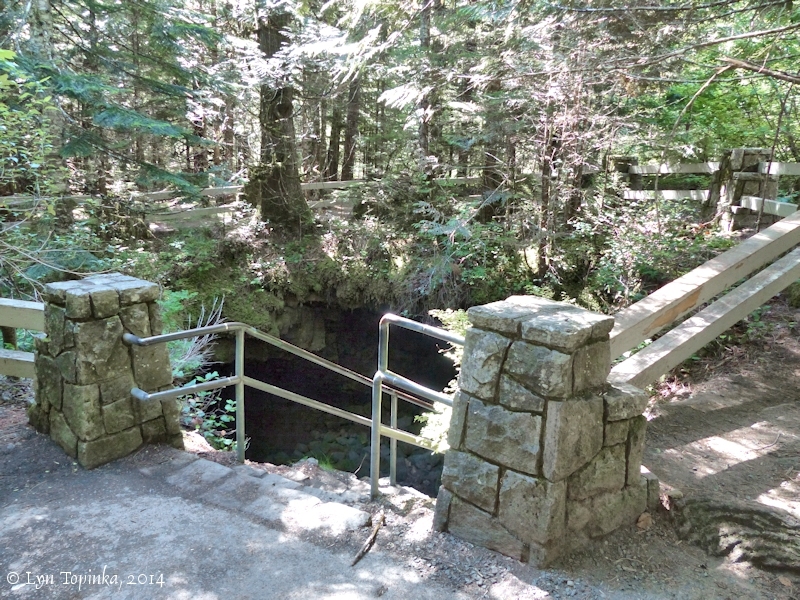 Image taken September 4, 2014.